Organic Face Tonic in Organic Aloe Vera with Extracts of Ginger and Witch Hazel. 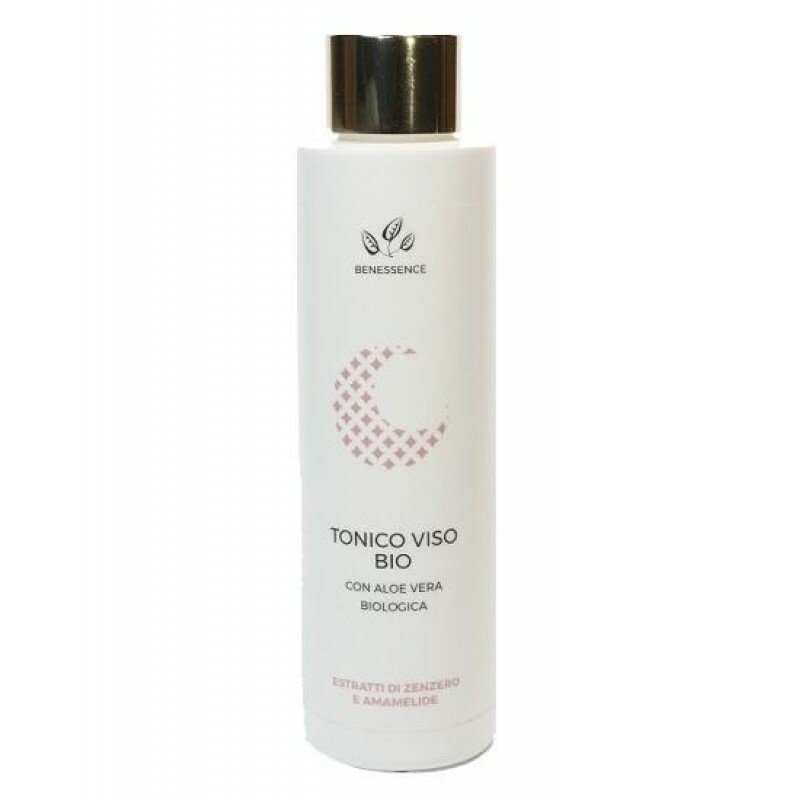 Based on pure Aloe Vera juice, to tone and relax the skin of the face. The formula combines the soothing properties of Aloe Vera with the astringent and toning properties of witch hazel extracts. The active concentrate, with extracts of Ginger, Cassia and Sanguisorba officinalis, has purifying and astringent properties, helping to reduce the diameter of the pores and improving the general appearance of oily skin. How to use : apply on the face and neck, using a cotton pad. Massage gently, avoiding the eye area. We recommend the application after the Benessence Cleansing Milk, but it can also be used alone several times during the day. Warnings: avoid contact with eyes and internal mucous membranes. Keep out of reach of children. External use. Ingredients : Aloe Barbadensis leaf juice, Aqua, Butylene glycol, Glycerin, Polyglyceryl-4 Caprate, Hamamelis virginiana leaf extract, Cinnamomum cassia bark extract, Zingiber officinalis root extract, Sanguisorba officinalis root extract, Benzyl alcohol, Sodium benzoate, Potassium sorbate, Tetrasodium glutamate diacetate, Citric acid, Dehydroacetic acid, Parfum.